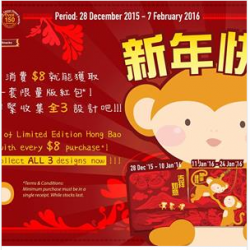 Get one pack of Limited Edition Hong Bao with every $8 / HK38 purchase! And be prepared for their second design releasing in 5 days' time. Collect ALL 3 designs now! Terms and conditions apply. Enjoy Shihlin Taiwan Street Snacks for only a special price of $1.80 (Usual Price: $2.50). Behold for the most famous dessert from Taiwan, is now available at all Shihlin Taiwan Street Snacks outlets in Singapore. 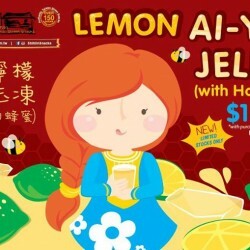 Purchase any Shihlin Snacks and grab this new product* - Lemon Ai-Yu Jelly (with Honey) 檸檬愛玉凍 (加蜂蜜). While stocks last. 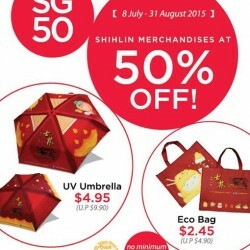 SG50 promotion is still running until 31st August! Grab any of the merchandises at 50% off! Hurry, while stocks last. No minimum purchase required. Date: Until 14th August 2015. 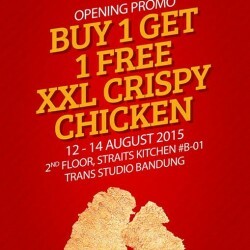 Enjoy the buy 1 get 1 free XXL crispy chicken @ Shihlin Taiwan Street Snacks. 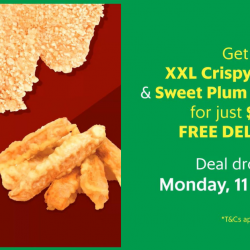 Promotion valid from now until 14th August 2015. 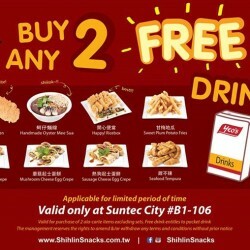 Buy Any 2 Snacks Items and Get a FREE Packet Drink is back! Now available only at Suntec City #B1-106. HURRY! Visit them now! Terms & Conditions Apply. Great news to our fans in Singapore! Shihlin Taiwan Street Snacks now do delivery to YOU! . Attention to all big fan or a collector of Marvel! Now here is your chance to purchase this complete Limited Edition Full Set Marvel Key Ring! 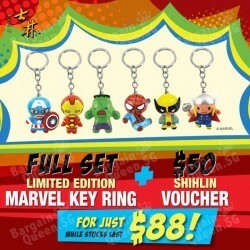 Only have to pay S$88 and comes with the guaranteed of 6 characters Marvel Key Rings and on top of that, you will get S$50 Shihlin Cash Vouchers! 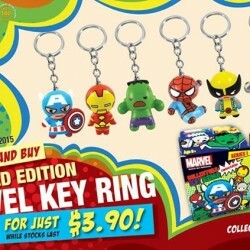 Get a Limited Edition Marvel Key Ring for just $3.90 with a minimum spend of $8! Promotion till 30 April 2015. Collect all 6 designs now! While stocks last.